HomeNature NewsThe Super Moon – Spectacle or Spectre? There are cinematic moons and there are super moons. A cinematic moon is the one used frequently in film, depicting a massive, even monolithic moon hanging there on the silver screen; backdrop for romance, lycanthropy, and dramatic effect. 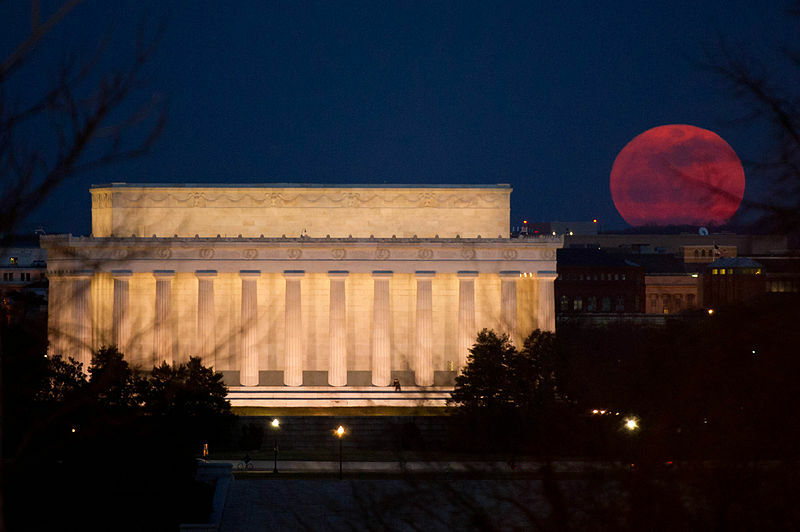 The Super Moon is the real life version – looming around 14 percent larger and 30 percent brighter than most full moons. About every 18 years, the moon reaches its closest proximity to earth, or Perigee, in its elliptical orbit. At its Apogee, or furthest point from earth, it is 252,731 miles away. Saturday’s full moon will reach to within 226,426 miles of the planet. The perception of moon, its size and proximity, changes dependent on its relationship to objects around it. In contrast to structures, or landscape, the moon can appear larger; dwarfing homes and mountains, especially nearest the horizon, in what is considered a “moon illusion”. With the Super moon, it actually is a larger portrait of the full moon. But what of Super moon’s mythical, scientific, and practical effects on earth and people? Some in the astrological community suggest a Super moon may contribute to a potential destabilizing force culturally and even geologically. Super moons bring higher ‘perigean tides’- sea levels could rise about an inch or so. Some areas of geography could raise as much as six inches. Most scientist say that despite these shifts, a perigee moon will not likely trigger any natural disasters. Myths have always circulated throughout history regarding the full moon- its power to inspire higher rates of lunacy, shape shifting humans, and even labor for pregnant women. However, numerous studies on lunar phases have so far been unable to draw definitive conclusions regarding increased violence, madness, or birth rates. Daniel Caton conducted a study in 1999 out of Appalachian State University which analyzed 50 million births and failed to uncover any correlation between moon phases and higher birth rates. And so far, Werewolves have remained on screen and lodged in the imagination. Mystery will always accompany the Moon. And the Super moon, well, is the Moon in all her glorious curiosity, illumination, and power for all to see on that one occasion every 18 years.